2009 G37 Sedan Front Lip or Bumper Upgrade? Do you guys know if the 2010-12 sedan sports bumper will fit on the my 2011 non sport sedan. I know Ill need some brackets here and there but other than that the grille and headlights should fit right? You will need the sport bumper, new foglight housing and covers, new lower grill(tech package or non tech package), tow cover and about $1000 for this project. What color is this sedan? 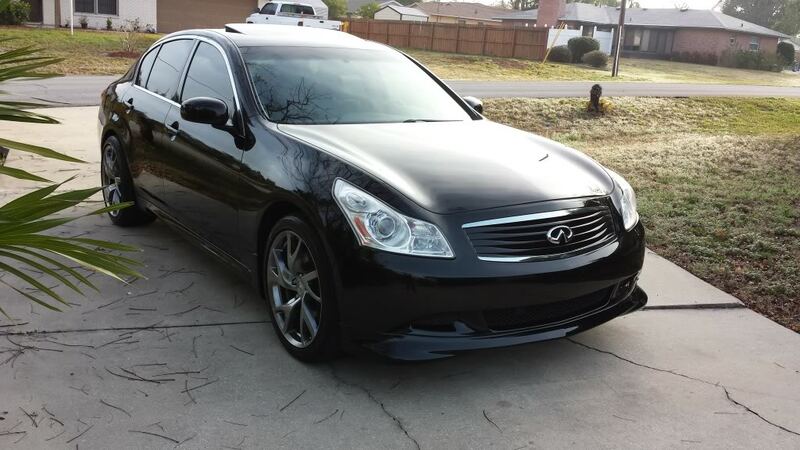 Quick Reply: 2009 G37 Sedan Front Lip or Bumper Upgrade?